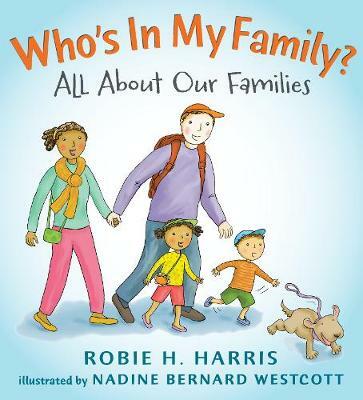 A fun and friendly look at the many kinds of families that make up our world by best-selling author Robie H Harris. Join Nellie and Gus and their parents for a day at the zoo, where they see all kinds of children and families - both animal and human! To top off their day, Nellie and Gus invite friends and relatives for a big dinner at home. The warm, humorous, family-filled illustrations; friendly conversations between the two siblings and matter-of-fact text will help young children feel that whoever is in their family, it is perfectly normal and totally wonderful. Who's In My Family? is part of a new picture book series for young children called, Let's Talk About You and Me, from award-winning author Robie H. Harris, illustrated by Nadine Bernard Westcott.